Botox injections give us the opportunity to enjoy the aging process. Clinically referred to as botulinum toxin, Botox is one of the most popular products to hit the cosmetic industry for reducing fine lines and facial wrinkles. Signs of aging cannot be helped. Wrinkles and fine lines appear from daily facial movements, exposure to the elements and the normal aging process. 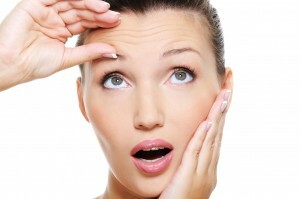 The quickest and most non-invasive method of dealing with those fine lines and wrinkles is a Botox injection. The face and neck are the most popular areas to treat. Botox injections easily erase frown lines on the forehead, crows feet around the eyes, and the band wrinkles that form around the neck. It is a non-invasive treatment, and proven to be safe and effective for aesthetic and non-aesthetic purposes, but like any other treatment, there are side affects and allergic reactions that may occur. Discussing the details with your cosmetic provider will help you determine if you’re the right candidate for the procedure. How much does a Botox injection cost? The injection cost will vary based on the amount needed to accomplish your aesthetic goals. Your cosmetic surgeon or medical spa provider will evaluate the area to be treated and tell you exactly how many units of Botox you need. The competition for Botox is high and so are the prices, they vary between $9 to $15 per unit, depending on the geographical area and the provider delivering the injection. Like any other non-invasive treatment, Botox is not a permanent cosmetic solution. Maintaining your cosmetic aesthetic requires follow-up appointments. How long it lasts will vary from one patient to the next. The average is three months. Your lifestyle, and many other factors will affect how long Botox will last. Botox injections may be combined with other non-invasive and surgical procedures for the ultimate results. Patients who want to improve their aesthetics may choose to combine it with fillers and other skin care treatments such as microdermabrasion and chemical peels for longer lasting results that may also prevent new lines from forming.